2018 is starting off on the right foot for Austin. After a mostly down year, Texas’s venture deal flow was back to pre-2017 levels, mainly driven by a strong Austin performance. Despite being smaller than both Houston and Dallas in population, the Texas capital raised 61 percent of the state’s venture dollars. Venture capitalists pumped $368 million into Austin startups across 39 known deals in the first quarter according to Crunchbase data. That’s more than double the $143.7 million raised in last year’s first quarter across 52 transactions. A number of Austin startups closed on double-digit funding rounds during the 2018 first quarter, including AI startup SparkCognition, which raised $56 million, and multiscreen platform and solution provider Phunware, which brought in $46 million. Another AI startup, Mythic, raised $40 million in a Series B round. Dallas raised the second most number of venture funds in the first quarter of the year. The city accumulated $183.6 million across 13 transactions; however, that was down from the $208.9 million raised across 16 deals in the Q4 2017. In March, Dallas-based Door Inc—a company building a tech-enabled real estate brokerage firm—closed on a $12 million funding round. Houston’s performance was also lackluster with $37 million raised across seven deals compared to $40.4 million over 18 deals in Q4 2017. 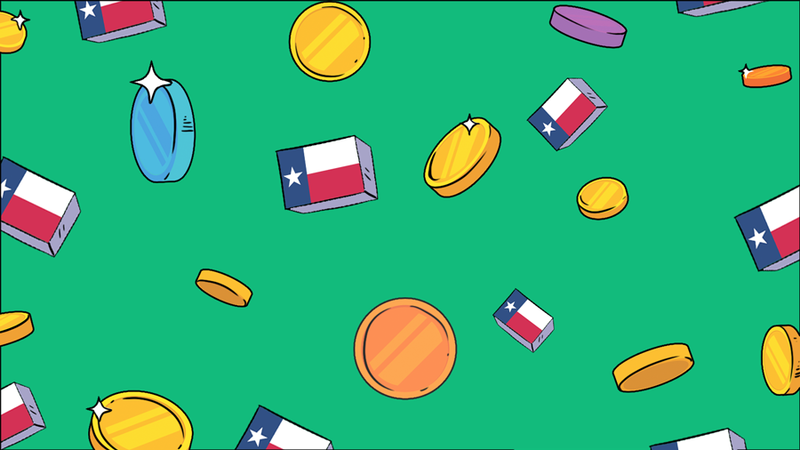 Texas startups as a whole raised a total of $605.2 million in the first three months of 2018 across 63 known venture deals, according to Crunchbase data. That’s 35 percent higher than the $391.7 million raised over 110 deals in Q1 2017 and 30 percent higher than the $463.9 million raised across 71 known venture deals in Q4 2017. The fact that more dollars were raised over a fewer number of deals indicates larger deal sizes. But the numbers don’t tell the whole story of Texas’s venture capital scene. For that, we turned to those startups and investors on the ground. Tom Ball, co-founder and managing director of Austin-based Next Coast Ventures, said his firm conducted four new deals over the first quarter out of its $90 million fund—all in Austin companies. In looking at trends, Ball noted an increase in consumer companies compared to years past. Blockchain has been growing in popularity, too. During the first quarter, Next Coast invested in two consumer startups: EverlyWell and 101 Commerce. Ball has also noticed an increase in the number of startups founded by women. Of Next Coast’s last seven deals, four were founded, or co-founded, by women. Ball also noted that more startups have raised angel and seed funding before getting to Next Coast. Next Coast has also continued to see firms from outside of Austin investing in the city’s startups. Two of Next Coast’s deals over the last six months, for example, were led by a Silicon Valley fund. Stephen Hays, the managing partner of Dallas-based Deep Space Ventures, believes there are “far more funds” available in the Dallas-Fort Worth area than there are quality deals to be done at the pre-seed and seed stage in the Dallas ecosystem. “As a result, you see most of the active investors from Dallas doing most of their deals elsewhere,” he explained to Crunchbase News. To his point, Deep Space itself invested in zero Dallas startups in the first quarter. Most of its time and attention, Hays said, was spent in Austin and Los Angeles. When it comes to dollars raised, Hays believes that there is almost always one mid-to-late stage deal that gets done each quarter that skews the area’s funding results. “But in reality, at the pre-series-A stages, there’s not nearly as much going on in Dallas per capita as in other cities, and there is a lot of capital being deployed from Dallas to other ecosystems at the early stages,” he said. In terms of sectors that are doing well in the city, Hays points to B2B software as being dominant at the early stage locally. Real estate technology and healthcare have also traditionally been active sectors in the Dallas ecosystem, he said. Looking ahead, Hays believes that Austin-based Capital Factory opening a location in Dallas will continue to support the early stage pipeline in the area. “Many investors like Deep Space will rely on Capital Factory to screen a lot of the early stage opportunities while we focus on seed and pre-seed deals in other locales,” he said. Despite numerous efforts, the Houston venture capital scene continues to lag. The lack of venture capital funds (Mercury Fund being the most active) is just part of the problem, some believe. I reached out to local accelerators for comment for this story and didn’t even get a call-back. I covered technology in the city more than a decade ago, so I can personally attest to a lot of innovation going on, particularly out of the world-renowned Texas Medical Center and schools such as Rice University, which sponsors an annual business plan competition. But that innovation is not reflected in the area’s funding results. In early February, the Houston Technology Center’s business acceleration program shut down after 19 years. The Houston Chamber of Commerce and other city officials appear to recognize the problem and are working to improve the area’s funding climate. For example, in early March, Golden Seeds—an early-stage investment firm dedicated to pursuing market returns through funding women-led businesses—opened a chapter in Houston as part of a collaboration with the Greater Houston Women’s Chamber of Commerce. The New York-based group now has six chapters around the country who have invested $150 million in 105 companies since it was founded in 2005, according to Xconomy. In 2017, Houston Exponential was created through a combination of organizations to bolster Houston’s innovation ecosystem and drive the region to become a top 10 startup ecosystem by 2022. “The city is trying to get more later stage investors to come in and fund Houston-based companies, and they are raising a fund to invest alongside that,” Brand said. Overall, Texas—namely Austin—had a solid first quarter when compared to the final quarter of last year. But there continues to be room for improvement as local ecosystems continue to struggle with growth. What it will take to get Austin, or Texas, to have a sustainable and growing investment and startup scene is a question most of us continue to ponder. Careful readers may note a difference between some of the numbers reported in this Q1 report compared to prior quarters, namely that there may be a higher number of rounds reported. This arises for a number of reasons, some of which are well-documented, others of which are new. This report (and prior reports on Texas VC activity) is based on “reported” data, which is information that Crunchbase already has in its database at the time of writing. There is a known reporting delay for private company data, so if a funding round isn’t announced immediately, it sometimes takes many quarters (or, sometimes, a couple of years) for any given funding round to be recorded in Crunchbase and other private company databases. 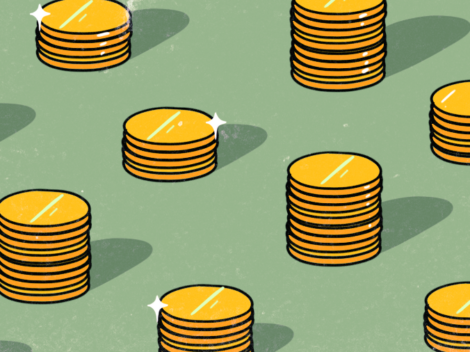 In the first quarter, the definition of “Venture” has also been expanded somewhat to include new round types, while some prior rounds have been recategorized. This is likely the driving force behind the increase in reported deal volume.